This holiday season has an extra special meaning for Florida native John Heilig — he received the gift of life in December. The 66-year-old computer technician was traveling through Atlanta's Hartsfield-Jackson International Airport on Dec. 11, in route from Hong Kong to Orlando, when he experienced a sudden cardiac arrest. 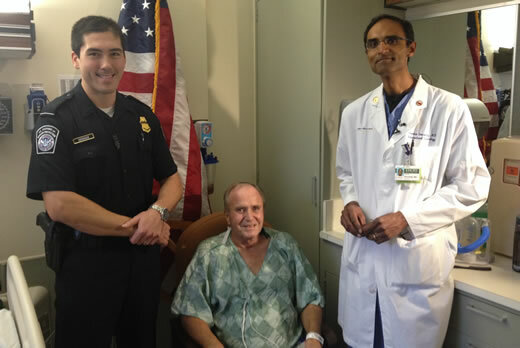 Not even three weeks since his initial cardiac arrest, Heilig is doing well and is being discharged on New Year's Eve. On the day before his discharge, Seebode visited Heilig in the hospital to wish him well. This was Seebode's third visit to check in on this special patient.